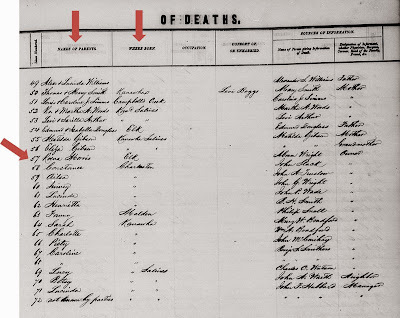 a3Genealogy: Slave Death Records Before the Civil War? Where Might They Be Hiding? Sometimes, there's a record collection that elicits "pause!" A grouping of records that shatters a truth so ingrained in the slave researchers' psyche, that even the slightest hope of uncovering the pre-Civil War slave ancestors is dismissed. Sure there are Civil War records, pension records being one of the favorites. 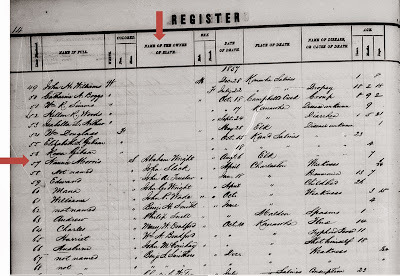 There are Civil marriage records as early as 1865, slave master personal records, probates and wills that may give us a hint of a slave's name and even age. But what about death records? 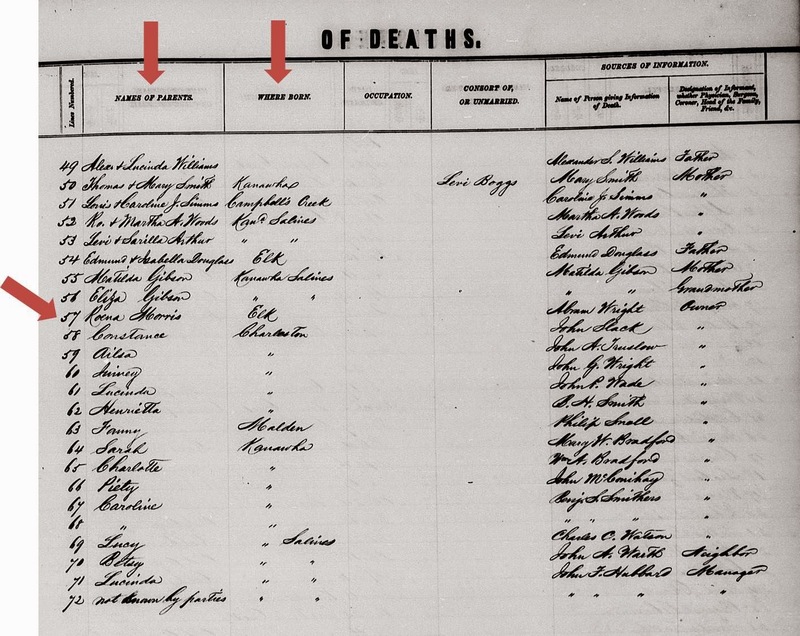 Are you bypassing death records, because you consider finding death facts on your slave ancestor to yield a low success rate? 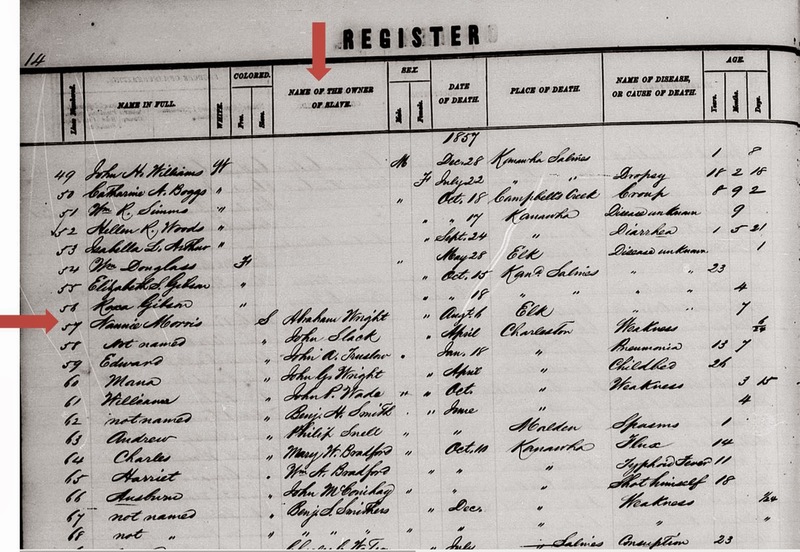 Names Slave and "Name of the Owner of Slave"
There are two main questions needing to be answered when doing slave research: 1) Names of parents? 2) Who was the slavemaster(s)? Researchers most often give up too early to really ferrett the answers to these questions. This was the case in a recent Virginia / West Virginia slave research project. Yet, both questions were answered. Perhaps a quick peak at county death records will surprise you. In this West Virginia slave research project, an "ah shucks...let's just check" attitude yielded a hosts of slave names, their slavemasters, death circumstances and even parent's names (as known by the informant). The results were numerous and outlined not for one, two, or three slaves, but for many. 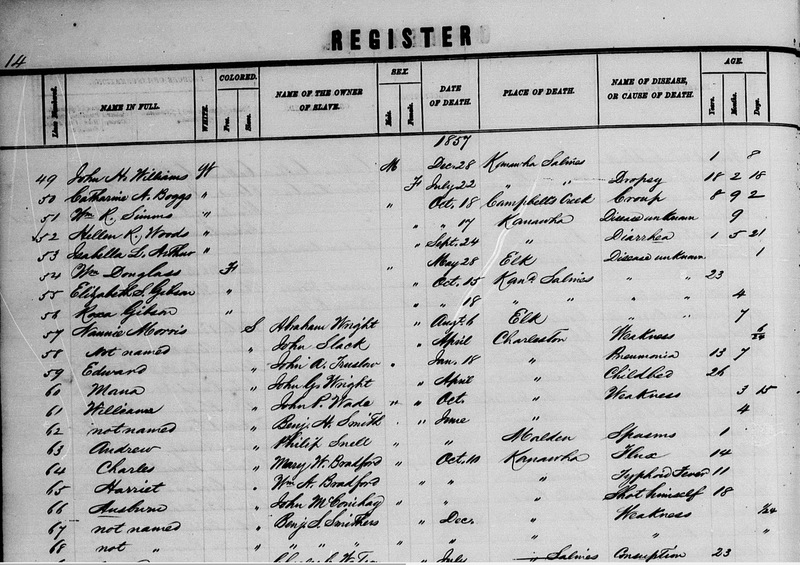 The West Virginia Division of Culture and History holds the death record database and images. But, to recreate this type of research conduct your keyword searches by the county using a first name search, not the expected surname. Keep identifying characteristics (age, location,etc.) in mind when conducting your search to pinpoint your ancestor. First stop should be to slave master deeds and records. These deeds may explain how the slave was acquired, and name previously known slavemasters. Through slaveholder lineage, wills and probates may name your slave ancestors also.